I was at Westfield London last week looking for something to spend my birthday giftcard on and found myself poking about in Neal's Yard. This may be blasphemous to some but I'd never actually been inside a Neal's Yard store before so I spent a good half hour in there trying out various lotions and potions. I've been a bit obsessed with any beauty products containing honey lately, so when I spotted the Honey & Orange Facial Scrub, I made a beeline for it (!). I only needed to have a sniff of this stuff to know I was going to get it. It smells amazing - refreshing and delicious. Pretty much exactly like honey and orange. Go figure. 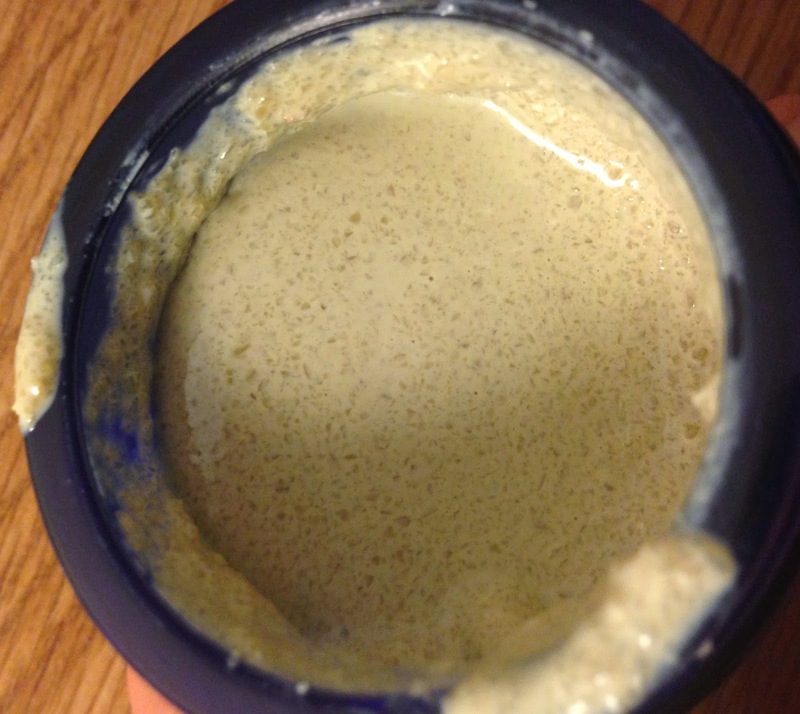 This is a gritty, bitty facial scrub that buffs away dirt and dead skin yet doesn't seem to irritate or feel too abrasive. To use, you just scoop a little bit out and mix it with a tiny amount of water before scrubbing it gently in circular motions. The Honey & Orange Facial Scrub is of a muddy paste consistency which is a little too thick to use as it is, so adding a bit of water thins it out a bit and makes it easier to apply. I'm not going to lie, the formula may not be the most user friendly - for one, it comes in a glass jar, which adds a bit of a luxurious element but could also result in broken glass in your shower if you're a bit clumsy like me. Secondly, the formula is a little bit fiddly and often results in me losing some down the plughole before it's been anywhere near my face. I'm no skincare expert but I know when I like a product and I really like this. It smells divine and it works well for me. 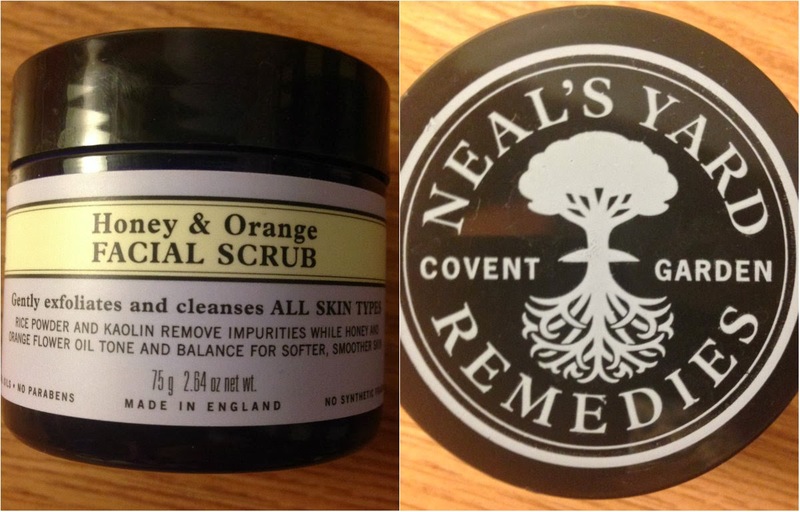 You can find the Honey & Orange Facial Scrub at Neal's Yard Remedies stores across the land and online. It costs £15.50 for a 75g jar. If you haven't tried it, do it. Do it now!